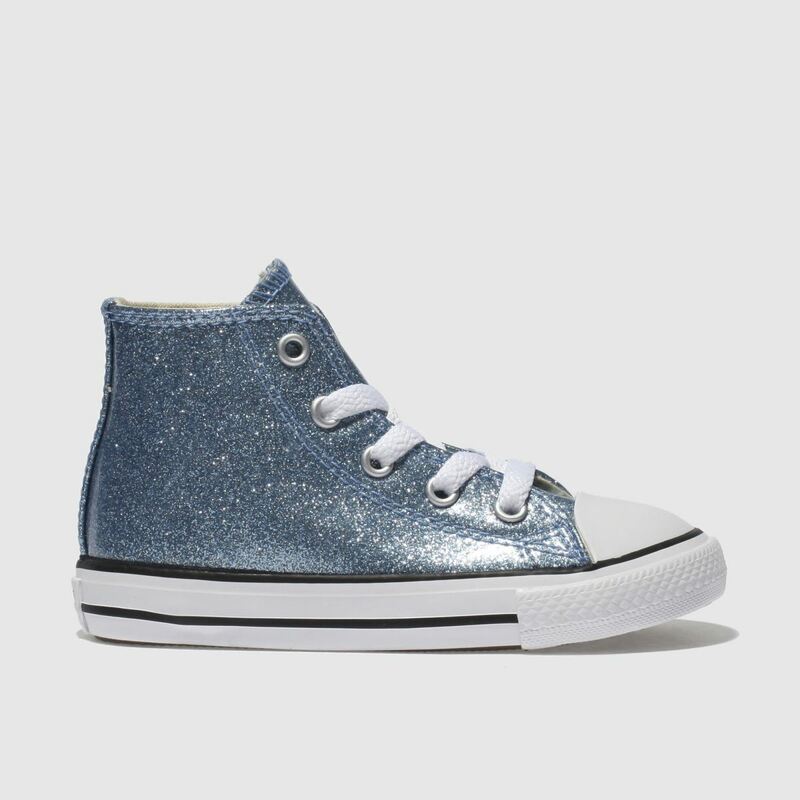 Let them toddle along whilst shining bright wearing the Converse All Star Hi Glitter trainer. 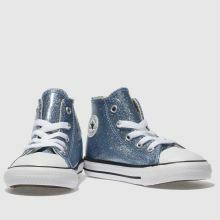 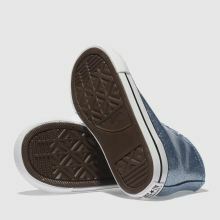 Boasting a man-made construction, the upper is adorned with endless blue sparkles for a funky look. 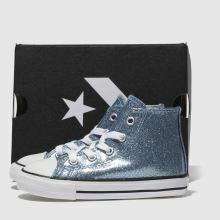 This kids' shoe is complete with iconic patch branding.